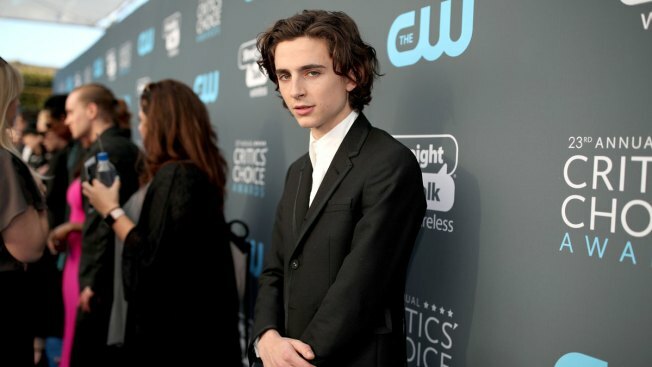 The breakout star of "Call Me By Your Name" announced on his Instagram account Tuesday that he didn't want to profit from his work on Allen's "A Rainy Day in New York"
Timothee Chalamet attends The 23rd Annual Critics' Choice Awards at Barker Hangar on January 11, 2018 in Santa Monica, California. Chalamet announced on his Instagram account Tuesday that he didn't want to profit from his work on Allen's "A Rainy Day in New York." A growing number of actors are distancing themselves from Woody Allen and his next film, heightening questions about the future of the prolific 82-year-old filmmaker in a Hollywood newly sensitive to allegations of sexual misconduct. Timothee Chalamet on Tuesday said he will donate his salary for an upcoming Woody Allen film to three charities fighting sexual harassment and abuse: Time's Up, the LGBT Center in New York and RAINN. The breakout star of "Call Me By Your Name" announced on Instagram that he didn't want to profit from his work on Allen's "A Rainy Day in New York," which wrapped shooting in the fall. "I want to be worthy of standing shoulder to shoulder with the brave artists who are fighting for all people to be treated with the respect and dignity they deserve," said Chalamet. Chalamet is just the latest cast member of an Allen production to express regret or guilt about being professionally associated with the director. In recent weeks, Rebecca Hall ("A Rainy Day in New York," ''Vicky Cristina Barcelona"), Mira Sorvino ("Mighty Aphrodite"), Ellen Page ("To Rome With Love"), David Krumholtz ("Wonder Wheel") and Griffith Newman ("A Rainy Day in New York") have all in some way distanced themselves from Allen or vowed that they wouldn't work with him again. Harvey Weinstein’s ouster from the Weinstein Company in light of multiple sexual misconduct allegations against him is causing thousands of other women to speak up and speak out against powerful abusers in the workplace. The rising chorus suggests the road ahead for Allen may be particularly challenging, even for a director whose personal controversies have for decades made him an alternatively beloved and reviled figure in movies. Financial support for the filmmaker has not previously waned in part because of the eagerness many stars have for working with a cinematic legend. But fielding a starry cast may prove increasingly difficult for Allen in a movie industry in the midst of a "Me Too" reckoning. "If I had known then what I know now, I would not have acted in the film," Greta Gerwig, who co-starred in Allen's 2012 comedy "To Rome With Love," told The New York Times last week . "I have not worked for him again, and I will not work for him again. Dylan Farrow's two different pieces made me realize that I increased another woman's pain, and I was heartbroken by that realization." Dylan Farrow, Allen's adopted daughter, has said Allen molested her in an attic in 1992 when she was seven. Allen, who has long denied the allegations, was investigated for the incident but not charged. 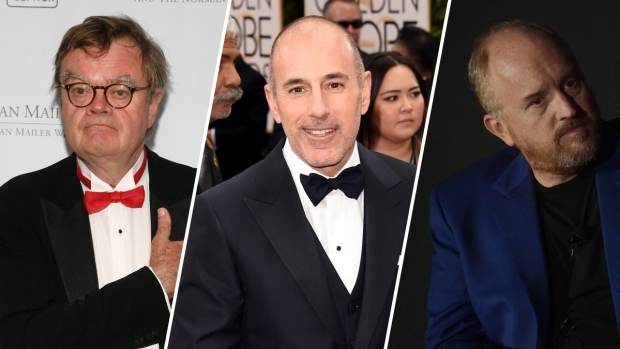 Farrow has previously questioned why the "Me Too" movement hasn't ensnarled Allen. In an op-ed published last month in The Los Angeles Times , she wrote: "Why is it that Harvey Weinstein and other accused celebrities have been cast out by Hollywood, while Allen recently secured a multimillion-dollar distribution deal with Amazon, greenlit by former Amazon Studios executive Roy Price before he was suspended over sexual misconduct allegations?" Price, the former head of Amazon Studios, resigned in October following an allegation that he had sexually harassed television producer Isa Hackett while she was working on the Amazon series "The Man in the High Castle." "A Rainy Day in New York" is the fourth project for Allen with Amazon, which bet heavily on the filmmaker to help establish its film production arm as a home to auteur filmmakers. It reportedly spent $80 million to lure Allen into television to make the 2016 series "Crisis in Six Scenes." Amazon, which didn't respond to queries Tuesday, also distributed Allen's "Cafe Society" in 2016 and "Wonder Wheel," which opened December 1. It has grossed a mere $1.4 million domestically on an estimated budget of $25 million but had more success overseas, grossing $7.8 million. "A Rainy Day in New York," a romantic comedy due out sometime this year, also stars Selena Gomez, Jude Law, Liev Schreiber and Elle Fanning. In his statement, Chalamet tellingly noted that due to "contractual obligations" he couldn't comment on the long-standing allegations against Allen. The announcement by Chalamet, a favorite Oscar contender for best actor this year, followed a similar one Friday by his co-star Hall. She said she was donating her salary from the film to Time's Up, the recently formed initiative to combat gender inequality in the entertainment industry. "It's a small gesture and not one intended as close to compensation," Hall wrote on Instagram. Some have continued to publicly support Allen, though, including Alec Baldwin. "Woody Allen was investigated forensically by two states (NY and CT) and no charges were filed," Baldwin said Tuesday on Twitter. "The renunciation of him and his work, no doubt, has some purpose. But it's unfair and sad to me. I worked with Woody Allen three times and it was one of the privileges of my career."